Last week, I had the pleasure of teaching several workshops to high school students about their social media presence. Who wants to hear an adult dictate to them how they should express themselves? This is America! The land of freedom of speech! I agree wholeheartedly that anyone should be able to express themselves how they feel, but let’s admit, we base our interactions with people on our impression of them before even before the first conversation. It only takes a few seconds to make a first impression. This goes for employers as well. And how do they get an idea of who you are before meeting you? They head straight to your social media profiles. Since this is such an important part of the hiring process, let’s dive into a few ways we can make our online presence work for us instead of against us. Does he/she have any work/school related posts? Does he/she have any volunteer related posts? Does he/she engage in questionable activities that may give the public a negative view of the company? 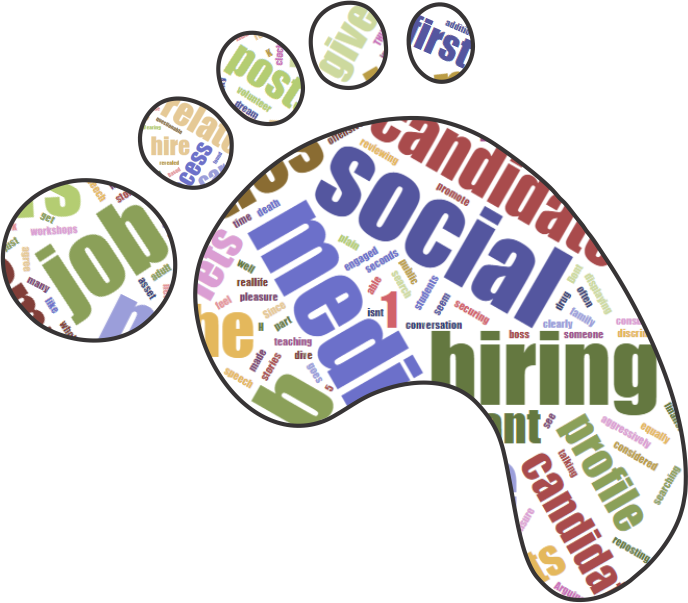 There are many real-life stories about candidates who were on their way to securing a new job, but didn’t because of what was found on social media during the hiring process. That’s right. Something you post on social media may cost you that dream job. In some cases, the candidates were engaged in activities that were clearly controversial or just plain old bad behavior. In other cases, the candidate revealed something about them that was contradictory to what was on their resume or something that made them less of a fit for the company. Here are a few issues that have caused employers to rethink hiring someone. Some additional activities may include posting about alcohol consumption, drug related activity, or violence. This includes reposting videos from other accounts. In a competitive job search, you want to do everything you can to set yourself apart from any other equally qualified candidates. It is best to do all you can to promote skills and experiences that will give you the better chance over another candidate. This also means avoiding something that will make you seem like a riskier hire than another finalist. Job searching isn’t easy. Don’t make it harder on yourself. Spend some time reviewing your social media accounts as though you were that hiring manager you spoke with or that boss hiring for their team. Based on what you see, would you hire you? If the answer is no, ask yourself why and do all you can to make your profile presentable to employers. We often use the acronym T.H.I.N.K when posting on social media. We hope these tips help you secure your next job or remove any barriers that will keep you from moving up in your career.